A continuation of my mod on Jurassic Park Legacy, this mod pack will basically make the game harder. It is more of a management mod rather than a creativity mod. Focusing more on running the park rather than building whatever you want. I understand that might turn some people off, but for those who enjoy a challenge look no further. -Automatic Lethal Gene: With the research for diseases taking up to a year to complete, lethal gene is a way to control the disease by killing off the infected dinosaur. -No mountain building or flattening land: I hope you enjoy the island you generated, because you're going to have to use it the entire game. -More movie accurate dinosaurs: In terms of behaviour, dinosaurs will act the same as their movie counterparts. -One visitor death is game over: With the exception of emergency mode, one visitor death means you're done. -No notifications: You will no longer receive and audio notification about urgent messages. -No HUD: Don't worry it's only for tornadoes, deaths, and dinosaur escape attempts. The rest of it is still there. -Realistic prices and wages: Speaks for itself, you'll have to be smart what you place, where you place it, and who you hire. Good to see that this mod is still going strong! Great, I still have the chance to live the most brutally difficult mod in JP:OG someday. Well, this is embarrassing. I was testing the Raptor fence behaviour, while I was playing the game I forgot what I was testing and ALL OF THE VELOCIRAPTORS ESCAPED! I had no idea until my visitor population was cut in half. So let this be a warning, and please use security cameras with all carnivores. Truly, this will be the most genuine Jurassic Park experience JP:OG has seen. There is...one more thing. This also applies to large carnivores, and uh...medium and high security fences no longer exist. So good luck with that. Will herbivores also try to break out? 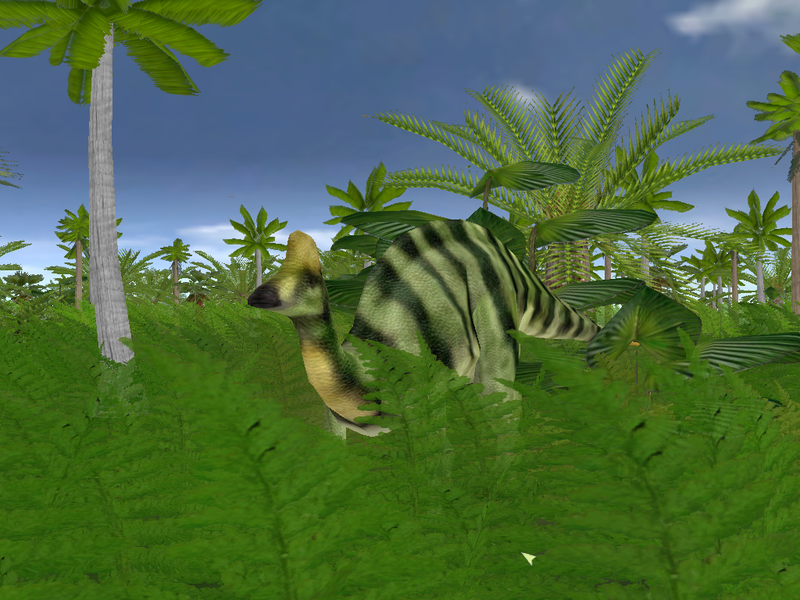 Like an Edmontosaurus getting stressed and crashing through it's fence? If I can get it to work properly, then yes. Sorry for the lack of updates. Game mechanics are done(exercises, behaviours, etc. ), just working on the skins now. Do I hear that we're getting close?? I've got 400+ dinosaurs to work on, so I'm not sure how soon it'll be. I will try to release it either late 2016 or early 2017.
great mod and the medium and high security fences no longer exist ? That's right, they've been removed from the building menu. But you can put them back if you need them. 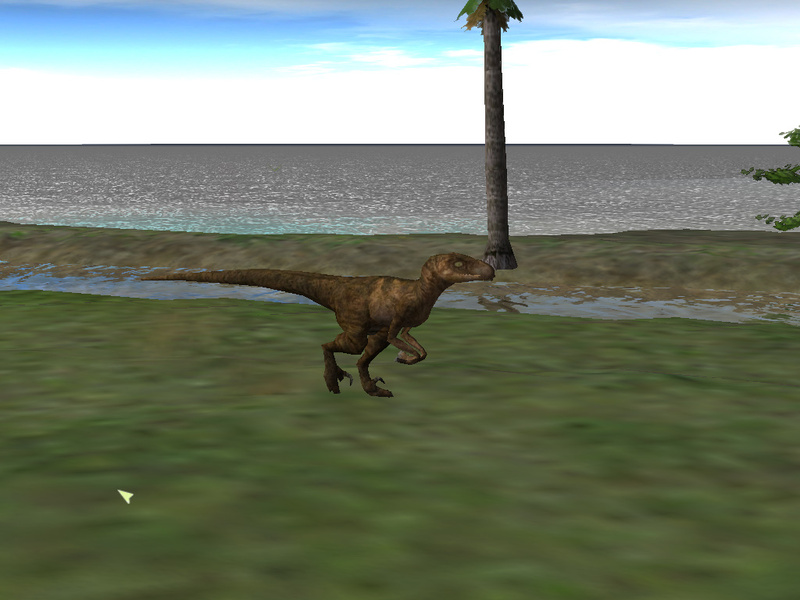 Allosaurus sounds cool. More menacing, but still with the bear noises. You are only allowed to have one dig team throughout the entire game, and it takes up to three minutes for them to find something. Been working on the mod quite a bit lately and making sure that it works on all kinds of computers. I'm about 60% done, but I thought I'd take the time to let everyone know that I'm going to be doing personalized dinosaur lists. So if there is a certain "set" of dinosaurs that you would like to have for Operation Genesis & Site B I will put them into the fossil hunt for you. All you need to do is post a list here or PM it to me and on the day of release I will PM you the files for your game. Where can I find the full list of species you've made? I'm interested! Just finalizing the list, I'll post it soon. Well ladies and gentlemen, it's time. I don't play the game anymore and my computer can't handle mods, but I'm excited anyway! Well, your computer might've been able to run it because I made sure that this mod runs smoothly on anything in between windows xp and windows 10. That being said I do have to run some more tests before release. I want to make sure it runs perfectly. I would like to make some skins for this mod, if you give me permission. 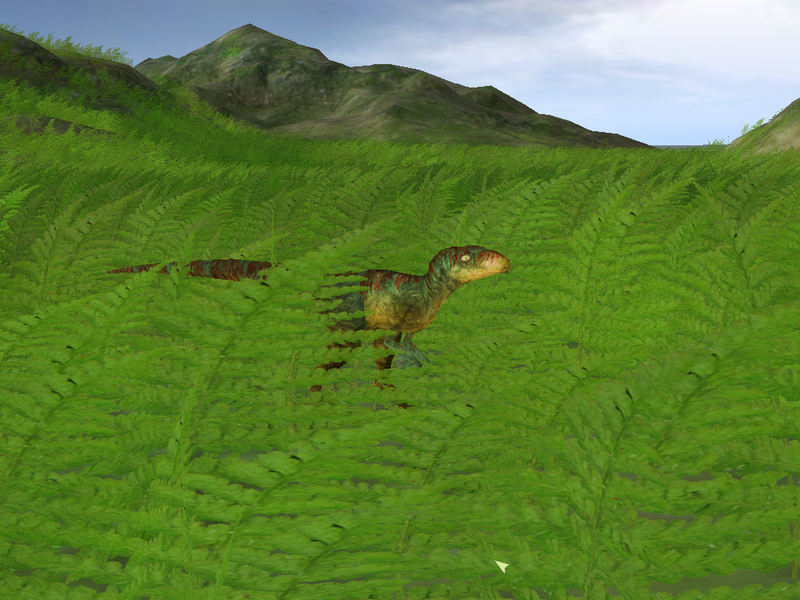 Well I was testing the game for release so the mod is pretty much done, however that doesn't mean we can't add more dinosaurs. So sure, I'll let you know what you can do. So, just thought I'd let everyone know that I'm still alive, and working on the mod. I had to restart the mod completely because of issues with my computer and because I just didn't have the motivation to continue. But I'm back and the challenge pack is alive again. Now, I'm throwing down the gauntlet. Only true Jurassic Park Operation Genesis masters can achieve a five star park in my mod pack. When you generate an island you'd better like it because you can no longer terraform. The only thing you can add is lakes and trees, you cannot flatten the land. Only one hatchery is allowed. Things like that. While I would like to keep things secret. I will hint that in this pack...monsters exist. Looking forward to try hard at your devious sick mind-twisted game sir! -The park has been re-branded. Oh, I almost forgot. One visitor death and the game ends. If you can't keep people safe, then the new boss has no reason for you to be around. They're a lot more playful than their InGen counterparts. Now I know what you're probably thinking is "That's kind of like Jurassic World The Games Raptor." I know I was thinking that too, but I was actually trying to make it have the same colourings as the tour cars. The reason being that the original tour cars aren't in the mod, I have specially made ones. Thoughts? Opinions? Is it ugly? Let me know what you think.